For the first time at an EVA London conference, we are excited to be hosting a UK/China panel and reception on the Wednesday (10th July 2019) afternoon and evening. 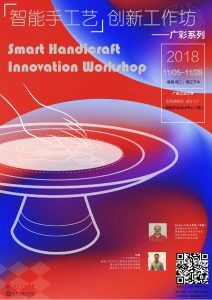 This event has been organised in collaboration with the School of Art and Design at Guangdong University of Technology and we hope that conference attendees will want to participate. The rapid growth of China over the past few decades has been extraordinary and their desire to work with the West is matched by the Wests desire to work with them. But how do you make contact with Chinese companies and Universities? How do you go about forming productive collaborations? What about the cultural differences? These topics will be some of the issues discussed in the Wednesday panel. 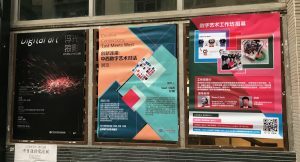 On Wednesday evening, there will be a chance to meet with our guests from Guangdong University of Technology, as well as invited members of the UK/China arts, business and academic communities. There will also be a chance to look at student work produced in China and UK. If you are particularly interested in becoming involved in the UK/China activities at EVA London this year please get in touch with the session organiser, Sean Clark, at seanc@cuttlefish.com. We look forward to welcoming you. Website content © EVA London 2017. Design by Tom Ensom, based on the Optimizer Theme for Wordpress. Website hosted by The Anthill Social.